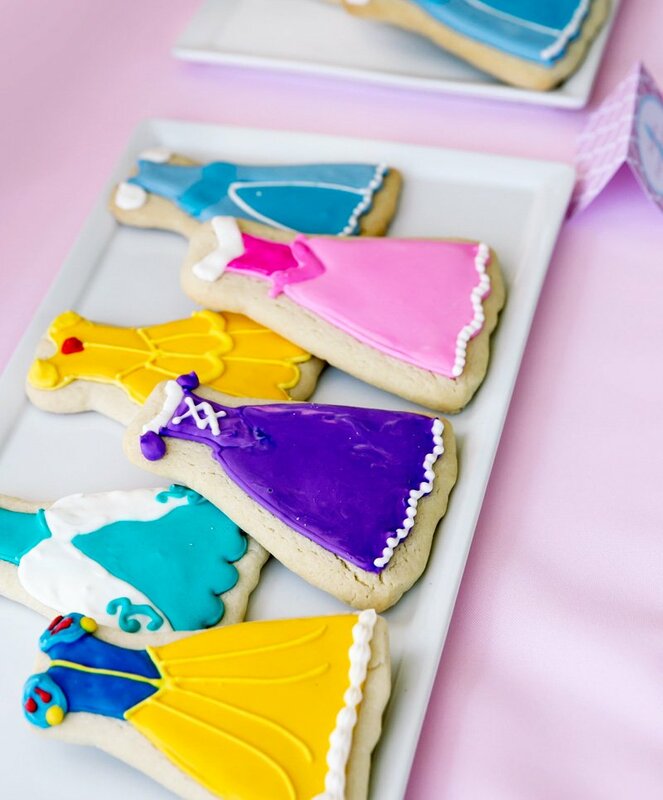 From rose-shaped Beauty and the Beast cake pops to dress-up gowns for Ariel, Merida, Snow White, and more, LOTS of different Disney Princesses made a cameo at this pretty party. 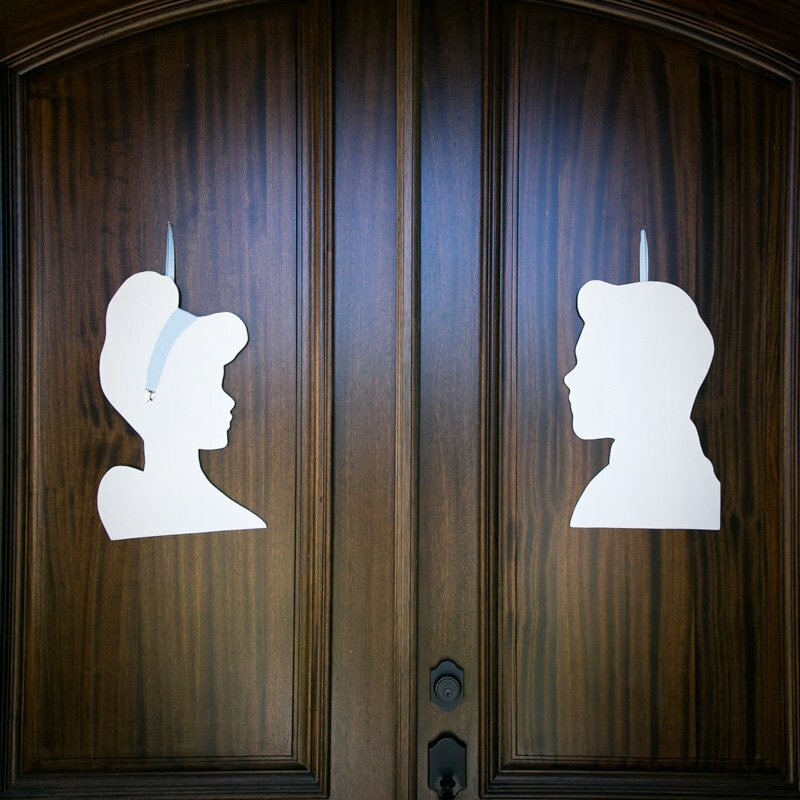 I’m especially loving the vintage style Cinderella and Prince Charming silhouettes, though, which served as a simple & elegant greeting for guests when they arrived! 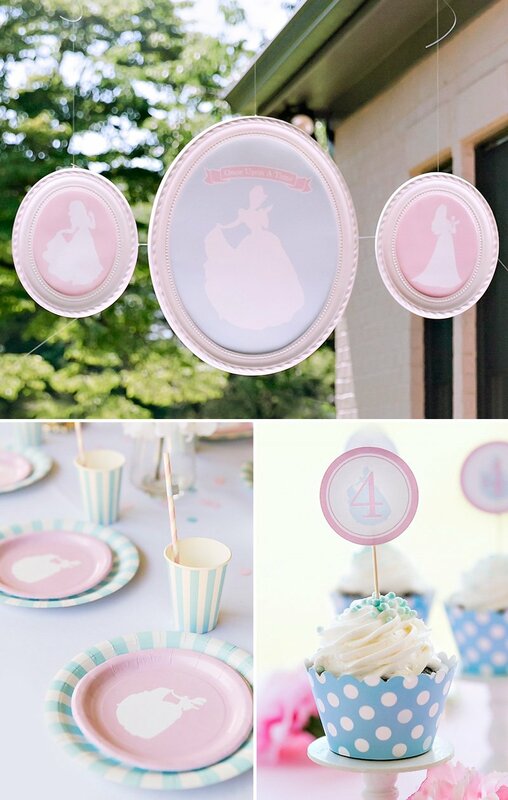 Dessert table linens styled to look like Cinderella’s dress – complete with bows! Like many four year old girls who just absolutely love anything princess, my daughter seems to attend a Royal Ball several times a day. 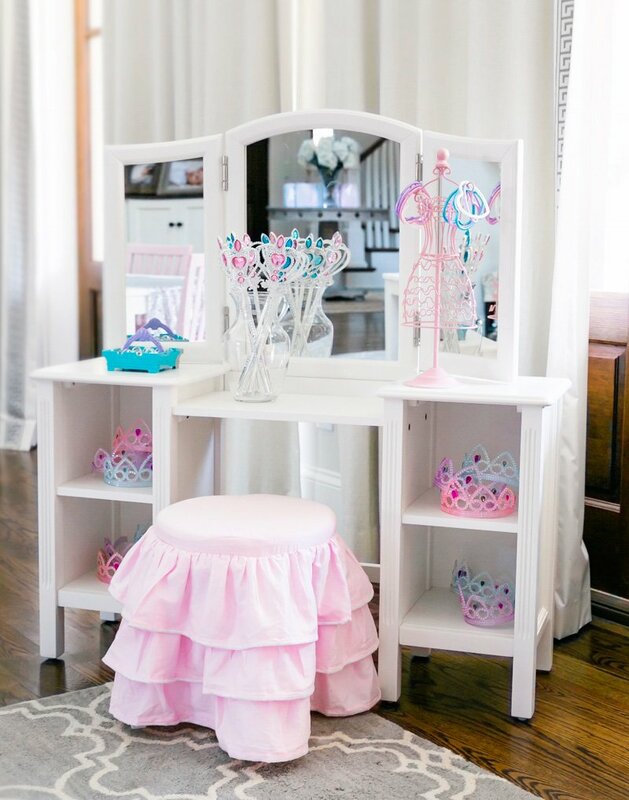 I was thrilled when she asked for a Princess Birthday Party and couldn’t wait style it in a unique way. The challenge was to make it fun and appealing for both boys and girls. For the theme, I decided to focus on princess silhouettes for a sophisticated feel. 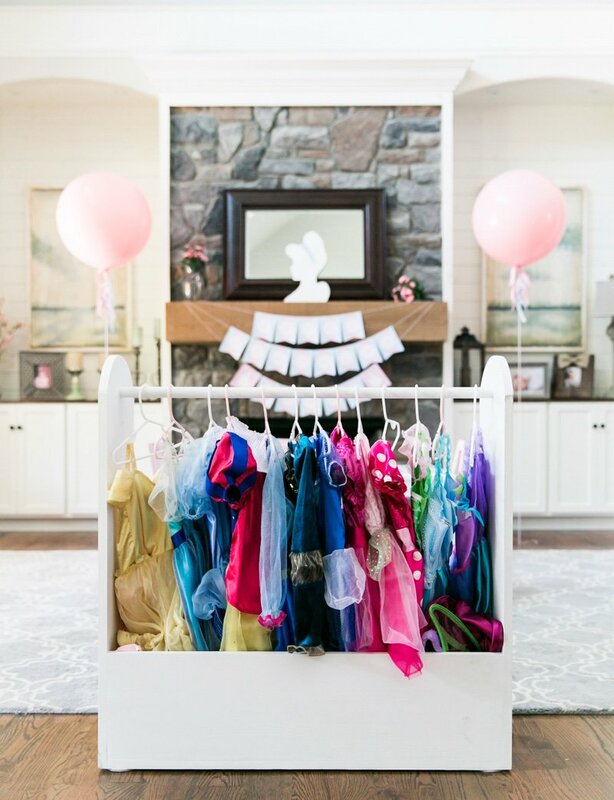 Pink and blue were used as the main colors, which was a great way to include both the little princes and princesses. Our royal guests were welcomed at the front door, which displayed hanging Cinderella and Prince Charming cut outs. I love having the theme right there immediately when your guests walk up to your door! 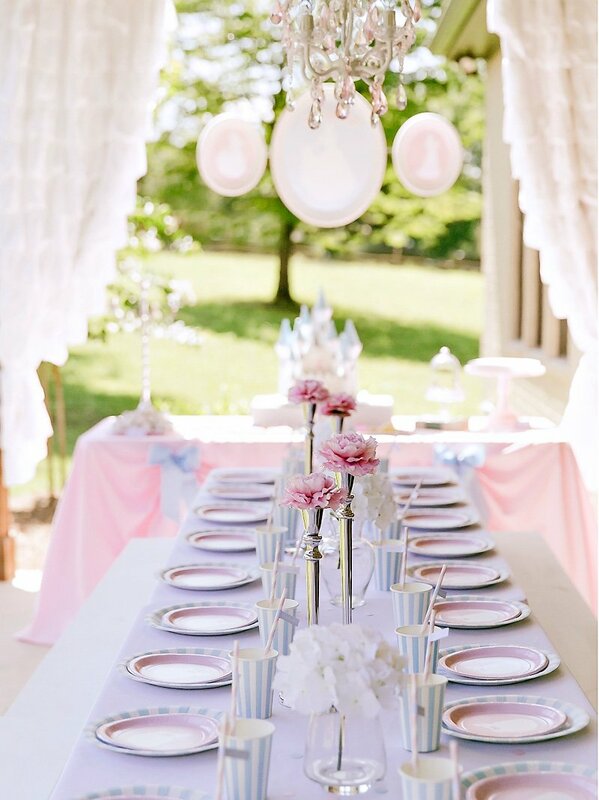 The linens on the main dessert table were styled to mimic the look of Cinderella’s dress. 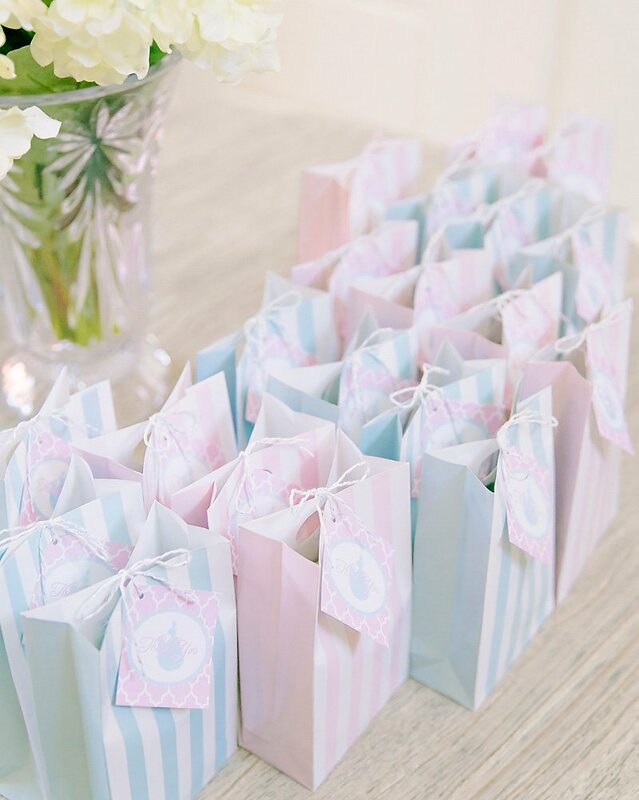 The table was draped with a soft pale pink and accented with blue bows. 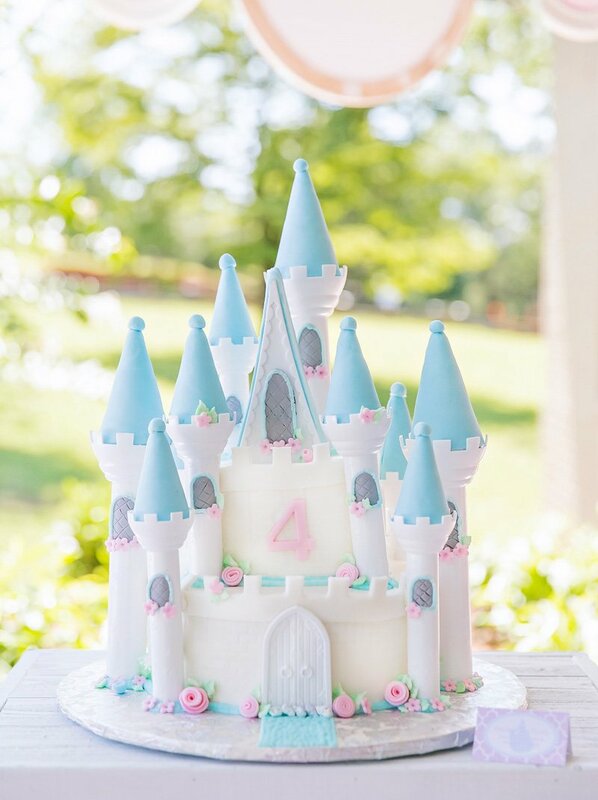 The Chocolate Box created a beautiful castle cake, which served as the focal point of the dessert table. The cake was centered on the table and framed by soft white ruffle drapes (repurposed from my daughter’s bedroom). 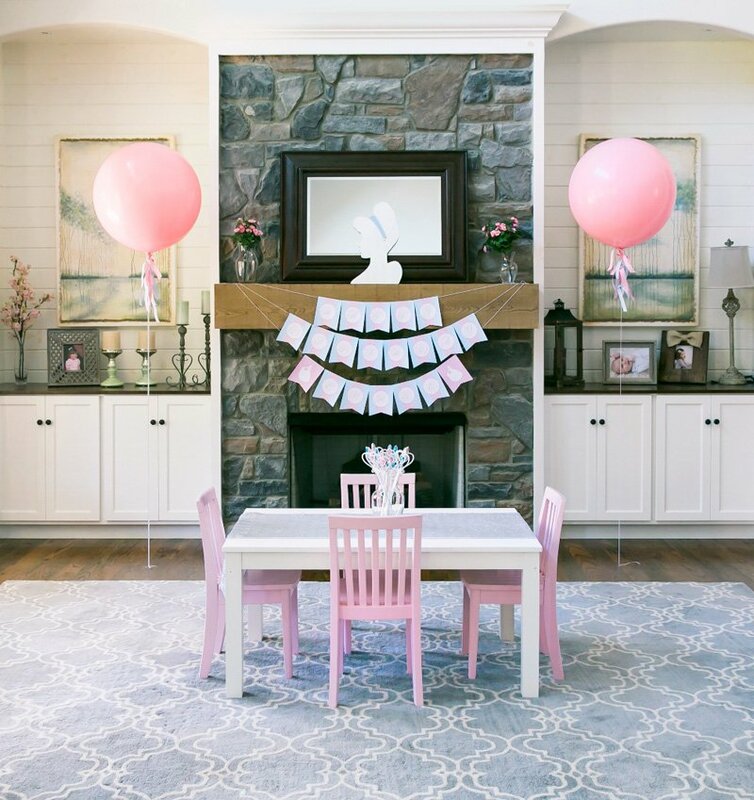 The three piece silhouette backdrop over the table is one of my favorite decorations! Accented with a candelabra, pink roses, vintage books, and delicious desserts, it definitely created the luxe royal look I was going for! I extended the princess theme into the other desserts as well. 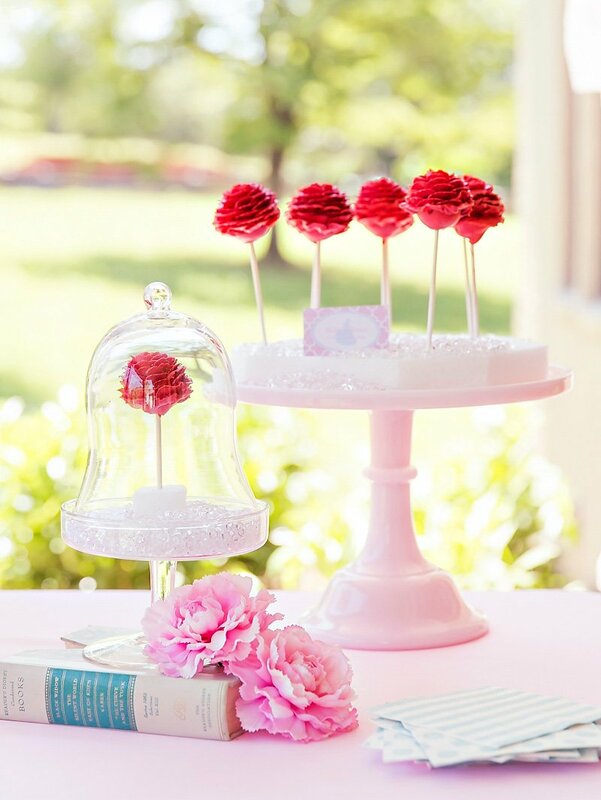 Various princess cookies, “Frozen” themed donut balls, and Belle’s red cake pop roses were served. The Beauty and the Beast themed cake pops ended up being one of the most talked about desserts. They looked incredible and tasted amazing! The idea was to have all the guests dine at a royal table, so one long table was created to achieve the look. Crisp white linens were used as the base, styled with silver candles and pink roses as a centerpiece. 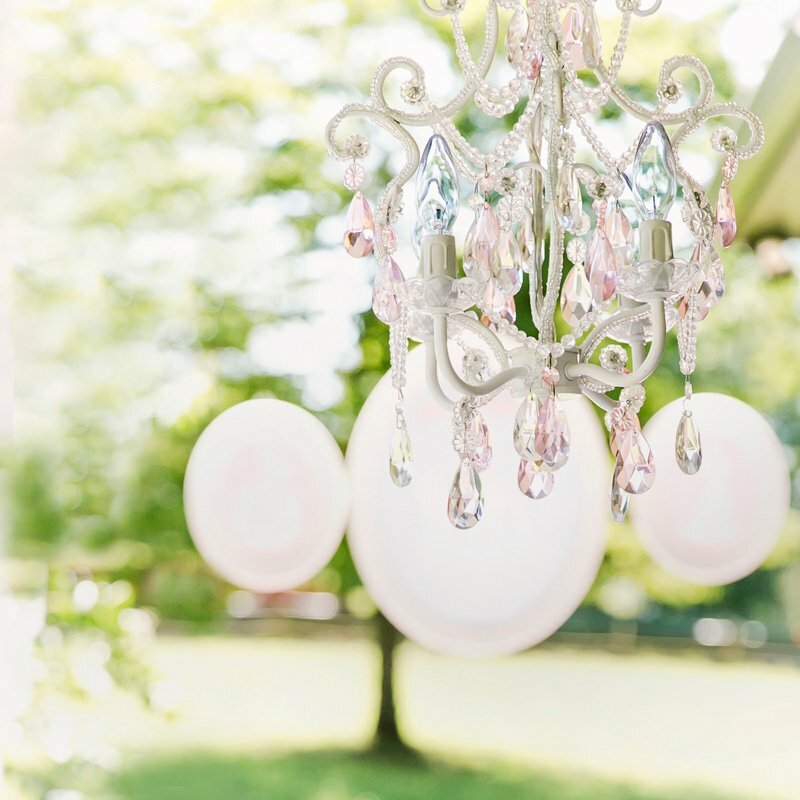 A pink chandelier hung from the ceiling tied it all together. One of my favorite pieces on the table were actually the custom princess silhouette paper plates, they helped bring the entire theme together. 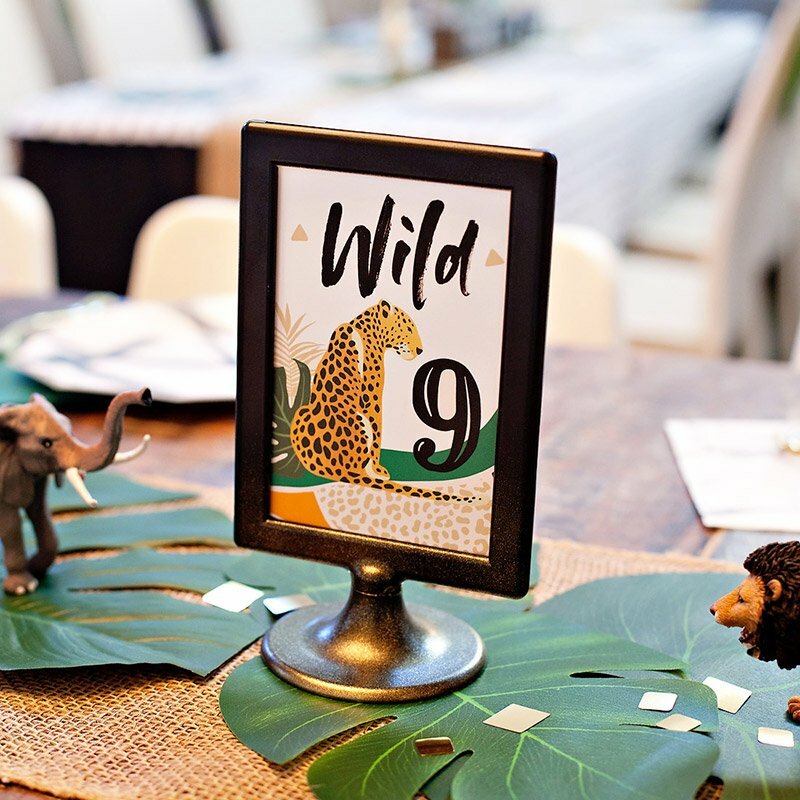 The party turned out beautiful and the kids had a blast playing games and eating delicious desserts. When my daughter walked outside and saw the tables set up for her party, her facial expression made all the planning worth it for just that! I love those dress cookies, great idea! Such a beautiful theme! 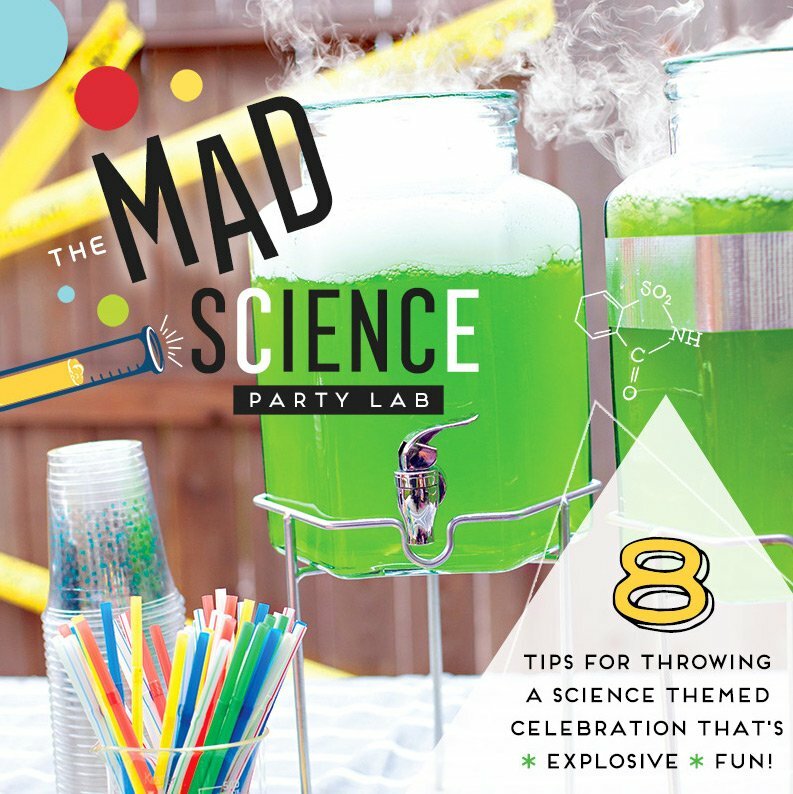 Thanks for sharing your incredible party set up! 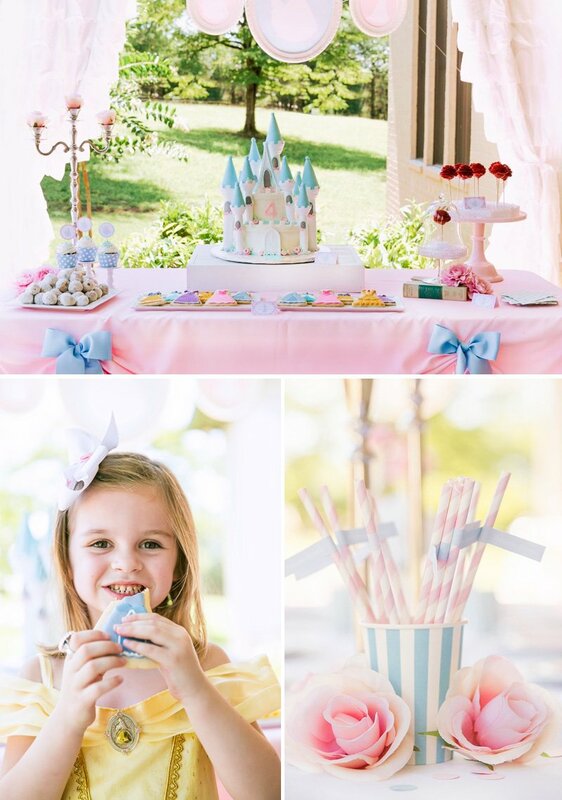 Princess parties always go down a treat with little girls. 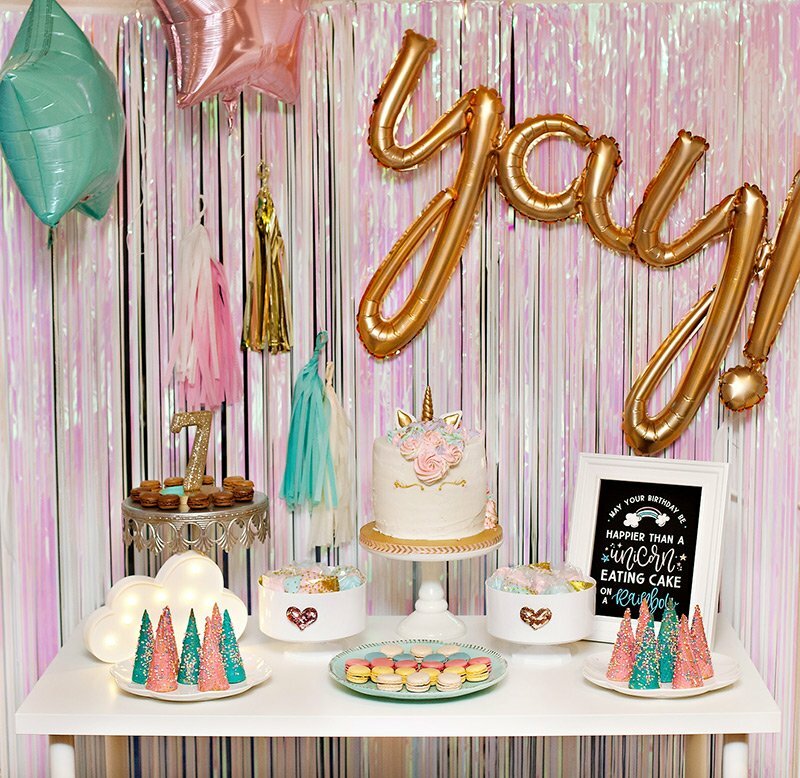 It’s definitely a party theme that you want to snap lots of photos of, especially with all the cute outfits! 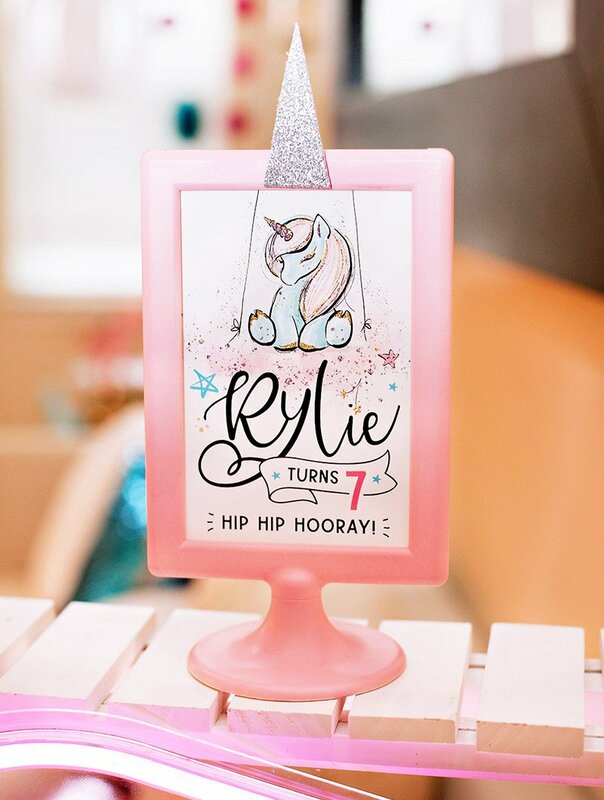 Another great way to do so, is to add in a photo booth which can also incorporate some fun props to match in! I was at a party for my daughter last weekend and they had a very similar cake. 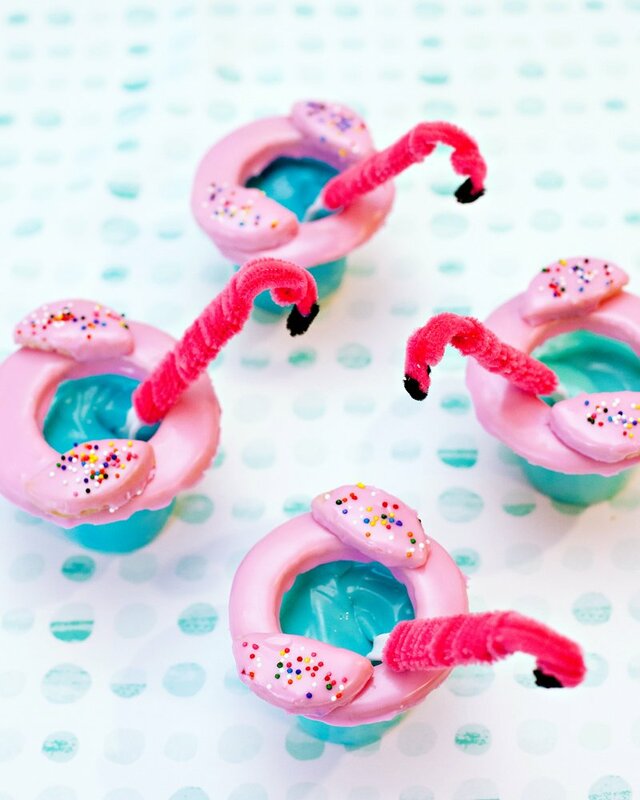 My wife is now on a mission to learn how to make that. I think the cookies may end up being a little easy.